Twitch and other game-streaming sites are big business, that much is established, but everyone’s waiting for things to sort of max out, and some thought that might have happened earlier this year. 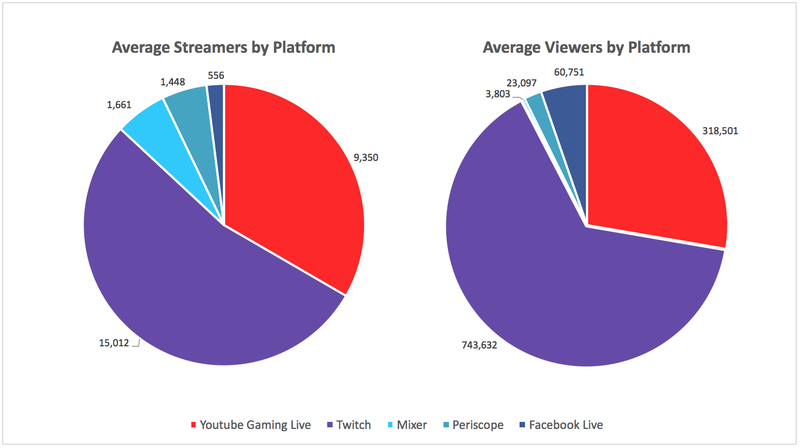 But the latest quarterly report from Streamlabs indicates there’s still plenty of room to grow, and that Twitch doesn’t have a stranglehold on the market — well, not a complete stranglehold. The report is based on data collected by Streamlabs’ popular app, which sits on top of streaming services and adds functionality — so this isn’t directly from the sites themselves. Still, with hundreds of thousands using the software, it’s pretty reliable info. 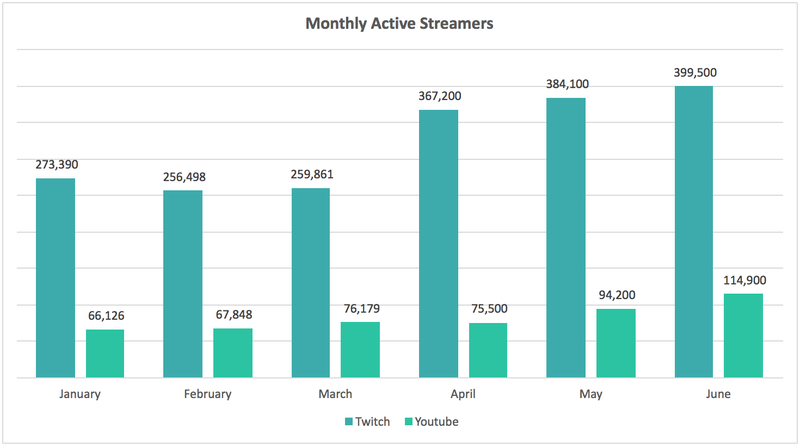 The first few months of 2017 showed slow growth for both Twitch and YouTube Gaming Live (not inclusive of other live channels); this led to some speculation that the market was stagnating. But some smart decisions from Twitch connecting streamers with followers and monetizing smaller channels made for what appears to be a sudden growth spurt. YouTube jumped as well, suggesting growth across the industry. Streamlabs also saw growth in the number of channels earning money; thousands are at least getting pocket money from their streaming hobby, and more than a few are probably paying rent with it. The total amount of tips processed in 2017 by Streamlabs could hit $100 million. That’s several times what Twitch has reported pulling in from its virtual currency for tipping, bits. Meanwhile, Microsoft’s Mixer and other live apps like Periscope and Facebook Live don’t seem to be making much of a dent, at least publicly. In case you’re wondering what games are producing all this viewership, well, it’s the usual suspects. League of Legends generally leads the pack, with Overwatch, Dota 2, CS:GO and Hearthstone hot on its heels. There’s still a lot of room for this industry to grow, it seems, but, more importantly, there’s time and money contributing to its maturation and sustainability.